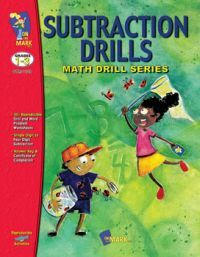 Description: Practice the basic facts while progressing from single digit to four-digit subtraction. Includes 57 pages of reproducible drill and word problem worksheets that can be used a homework sheets or timed exercises. Answer keys and certificate of completion are also included. 64 pages.